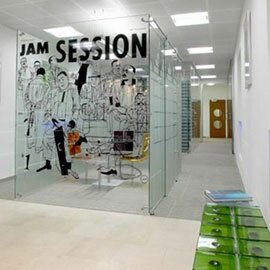 My firm first commissioned Clifford Partitioning for the fit-out of our in Kingston Office in 2011. We have subsequently moved to larger premises and had no hesitation in commissioning Graeme Hawkins and his excellent team for the major partitioning works. All of the team at Clifford Partitioning are highly experienced and provide excellent advice and consultation alongside their high standard of materials and workmanship. 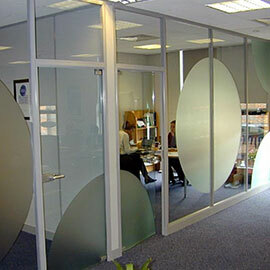 Clifford Partitioning’s costings represent value for money. 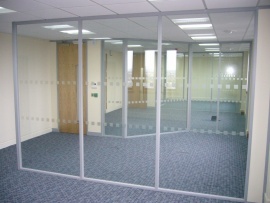 We have no hesitation in recommending Clifford Partitioning. Clifford Partitioning carried out a major refurbishment for our Company a year ago. The work was not only carried out to a very high standard but was also project managed seamlessly. This in itself is commendable – but taking into account that they were up against an extremely tight deadline I have no hesitation in saying that the service was impressive. I would not hesitate to use the Company again and would readily recommend them to others. Clifford Partitioning undertook to build two offices with all necessary electrics and lighting in our new facility in Byfleet. I found the company to be extremely professional in all aspects of this project from initial quotation through to completion. The work involved the use of several contractors but these were all managed by Clifford Partitioning and they arrived as scheduled and each completed their work to a high standard. From initial discussion to completion the job only took three weeks and we are extremely happy with the outcome. We would deffinately reccomend Clifford Partitioning and use them again. find Clifford Partitioning. The first project they undertook for us was in 2008. We have used their services on 3 further occasions since then including 2 complete new office fit outs. The whole experience from initiation to completion is very efficient and professional with excellent input on design and layout. The work undertaken is of a very high standard and the people who undertake the work are all very pleasant, accommodating and knowledgeable. Overall a brilliant service that I would have no hesitation in recommending to others. We have been using Clifford Partitioning for many years now, Graeme and his team work extremely well together supplying direction and solutions to any and many situations we have placed before them. The company is honest and reliable with great attention to detail from taking the initial email or call to the final completion of the job or project. Just wanted to say a massive thank-you for all your hard work in making our installation so smooth from start to finish. Your professionalism made the job painless.